GRIP: Combat Racing is a fantastic love letter to a game that has been long since forgotten by most players. Although it’s not a true sequel, it would feel right at home as the third installment of the Rollcage franchise. Everything from the blazing speed to the level of concentration needed to process each turn will make you grip your controller tightly as you plunge into the outrageously fast vehicular combat. 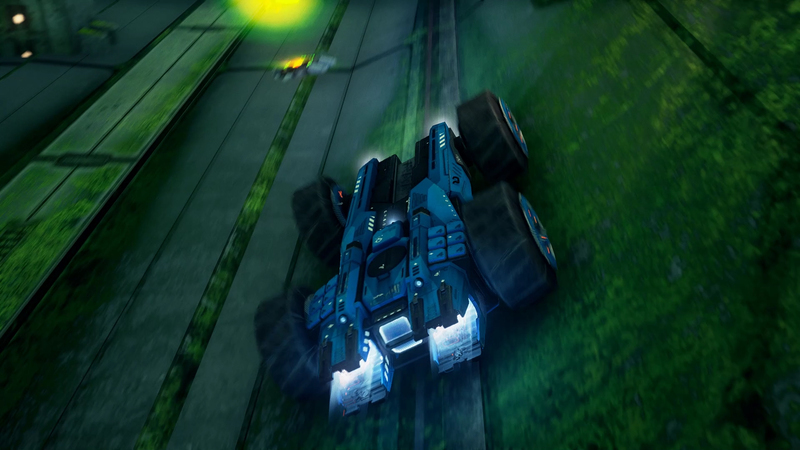 GRIP has great racing mechanics, but they’re marred by inconsistent implementation. As a spiritual successor to a turn of the century combat racing IP that only a select few would recognise – Rollcage – it’s best enjoyed in short bursts. Its familiar simplicity is inherently appealing, and its well-polished mechanics make racing fun for an hour or two. Unfortunately, Grip is not quite able to find a style that is compelling enough to elevate it. All-in-all, I have had fun with my time in Grip, and I appreciate just how much it offers. But, unless you can only find joy when ramming another vehicle at 400 miles-per-hour, it is hard to imagine it being much more than a passing distraction. It’s a great multiplayer game, and an arcade racer that understands its purpose. Does it go beyond that? No, not really. But it doesn’t matter. It is, at times, sluggish and frustrating, but those moments pass by as quickly as your opponents after you take a missile to your backend. 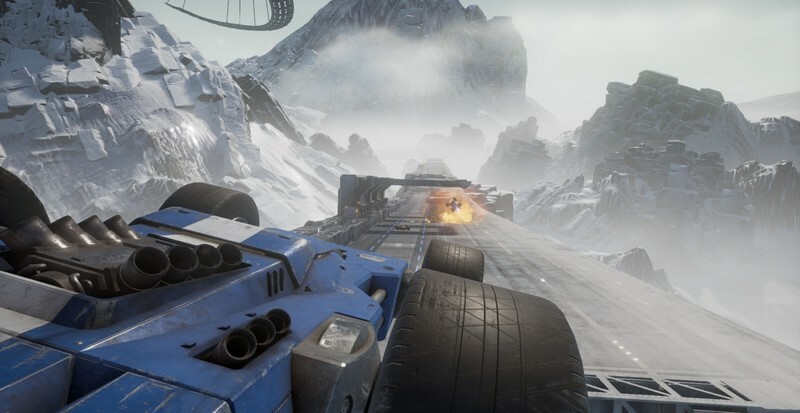 GRIP: Combat Racing fulfils its duty as being an engaging, fast, and unforgiving racer. 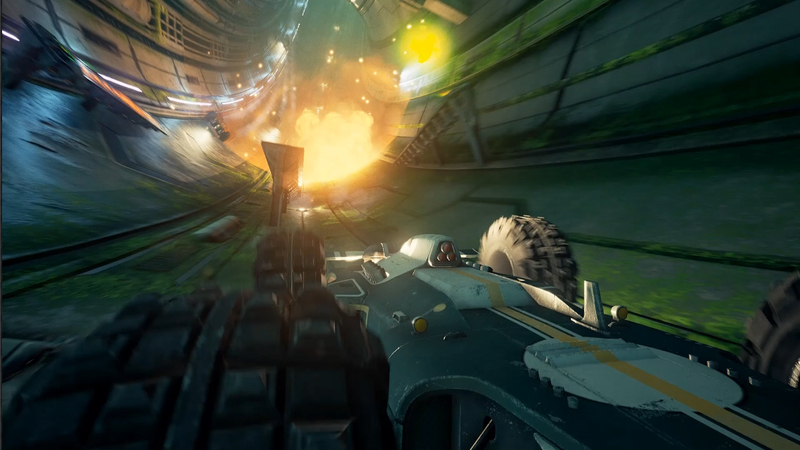 In the end, Grip has all the prerequisite gameplay and technical elements. Yet the randomness of the environments and the clunky air handling left little to be desired. It almost feels like a game of chance instead one involving skill. I’ll give it solid marks for the technical aspects but the randomness of the gameplay left me cold. It’s worth a try as you may feel differently. 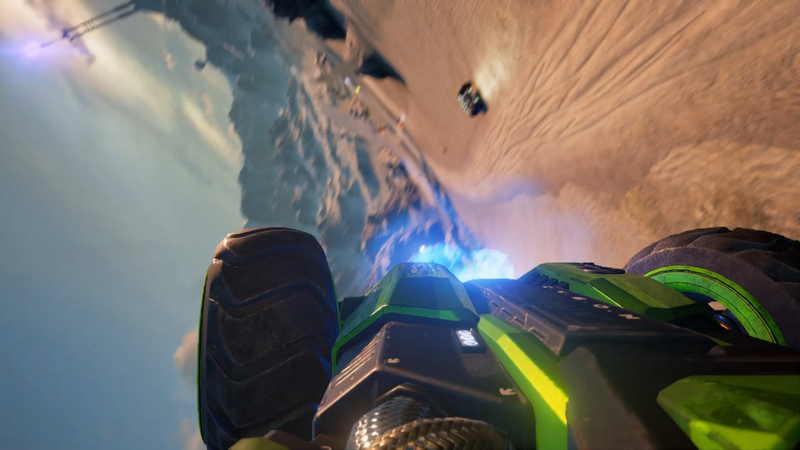 GRIP: Combat Racing is an impressive arcade racer, one that harkens back to the glory days of racers such as WipEout, while adding its own innovations. Jumping from floor to ceiling to wall and back sounds like it might be too hectic, but GRIP’s excellent camera handling ensures that players won’t lose track of what they are doing very easily. GRIP: Combat Racing is an unpolished gem that’s currently too flawed to fully recommend. 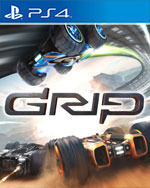 When it comes together – particularly in multiplayer – GRIP is capable of providing some of the most engaging future racing this side of Wipeout 2097, but it’s all too easy for it to fall apart, especially when you’re placed in the hands of the game’s cheating AI. Unlike a lot of games on the market that feel like sterile faceless products, Grip has personality. There just aren’t many games like Grip that are polished to a crystalline AAA sheen, but retain their indie identity and funkiness. 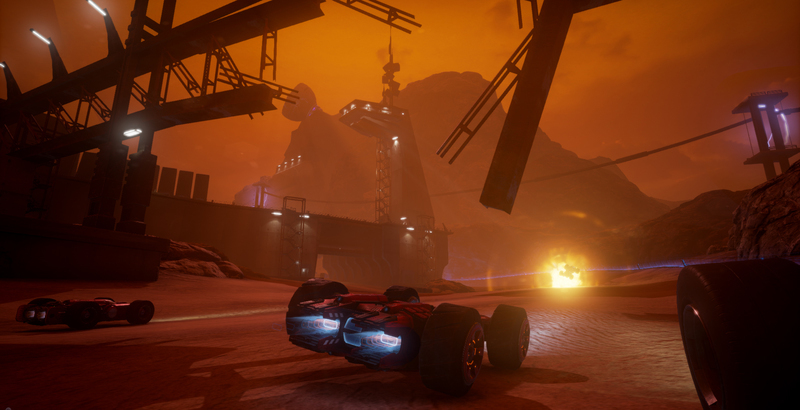 Despite its occasional frustrations, Grip is a title that racing fans should take notice of. Just remember to stretch your back before and after every session, try not to grind your teeth and have an extra controller on hand for when you snap the first one in half. Alsof het een liefdesbaby geworden is van Rollcage, Mario Kart en Extreme G weet het spel je in veel opzichten te vermaken. Neem daarnaast nog de offline multiplayer die je met z’n vieren kunt spelen en je hebt een ouderwets vermakelijke racegame die je met vrienden moet spelen. Misschien niet extreem vernieuwend maar zeker de moeite waard. Al was het maar om je vrienden even flink dwars te kunnen zitten. Maar waar je racershart sneller gaat kloppen als je de kilometerteller hoger ziet gaan, is dat bij GRIP anders. De game verandert bij de minste botsing op hoge snelheid in een flipperkast en dat gebeurt maar al te vaak. Toch is het een aanrader om eens achter het stuur te kruipen in GRIP Combat Racing.